I always have been a big fan of facial mask and if you asked me how many tubes/jars/sheet of masks I actually owned at home... let me count.... Seriously I lost count of them because I am quite adventurous in trying different types of masks and just buy whenever I see something interesting! I have masks in different texture... Cream, Clay, Gel Powder, Sheet, Liquid, Gel and even Bubble Mask! And this time around I was given two jar of really unique masks to try, I'm pretty excited about it! And today I discovered there is mask in Jella (jelly) texture!! Elizavecca Green Piggy Collagen Jelly Pack is a mask enriched with 50% pure collagen, giving you a baby-soft, peachy complexion. 50,000 mg of collagen peptide (extracted from natural pig skin) blended with adenosine, bean fermentation extract, macadamia seed oil and cacoa extract to deeply nourish skin and lock in moisture. The cooling gel texture forms a resilient, jelly-like layer on your skin, allowing all the nutrients to penetrate. Enhances skin elasticity and firmness, suitable for all skin types. And best of all this jella mask is FREE from parabens, ethanol, animal derived oil, artificial dyes, benzophenone and mineral oil. Yes I was really surprised to find out this is made from the collagen extracted from natural pig skin (no wonder the packaging has little piggy picture) ! You know my mum often told me to take Pig trotters or even chicken feet (in moderation quantity!) because she said plenty of collagen. So I went to google and found that collagen is the main structural protein found in the connective tissues of animals and is present in places such as the skin, tendon and bones. The skin in particular, is believed to have qualities of elasticity and strength. Okay first time trying pig skin collagen mask, I know you will be thinking gross! 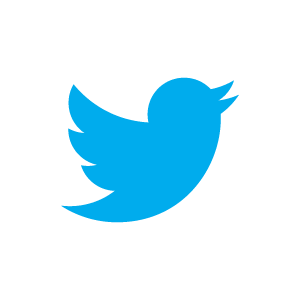 Okay let me be the white mice and try and let you know my feedback! 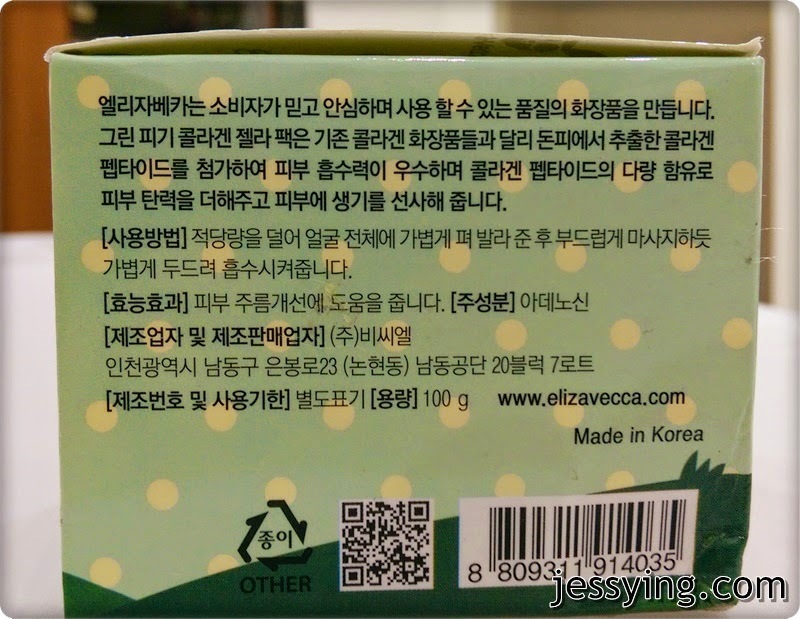 Elizavecca Green Piggy Collagen Jelly Pack is made in Korea. p/s: Too bad I can't read Korean description but I think it generally meant what I mentioned above. I like how it comes with a nice cover & spatula for me to spoon out my mask (very hygienic!). According to the recommendation, this mask can be used in 2 ways. Can wash it off after 20 to 30 mins, or can be used as sleeping mask overnight. And if you ask me what so unique about this Elizavecca Green Piggy Collagen Jelly Pack? It's definitely the texture. The cooling gel texture forms a resilient, jelly-like layer on your skin, allowing all the nutrients to penetrate. What is more interesting is what I see in the jar, so magically that I never seen anything like this before! I bet you haven't too! 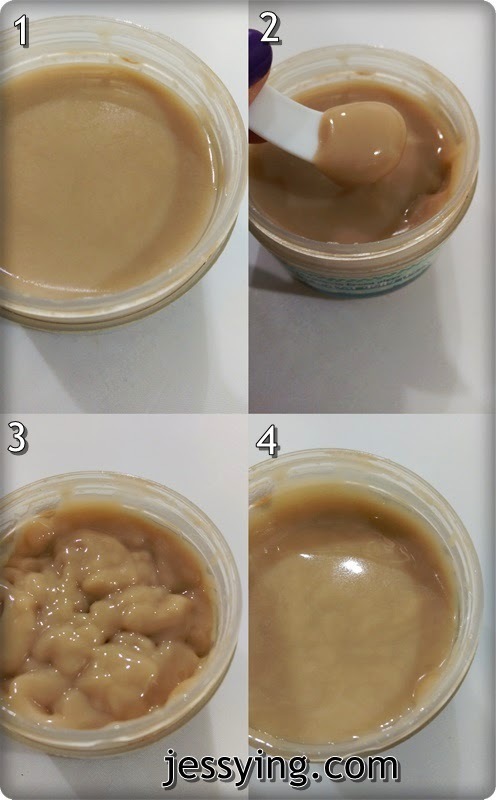 I went on stirring the Elizavecca Green Piggy Collagen Jelly Pack (in pic 3) like how I do when I bake cake and within minutes the mask texture magically return to the original smooth texture! Freaking amazing right! I took a video to let you see how magically the texture is! 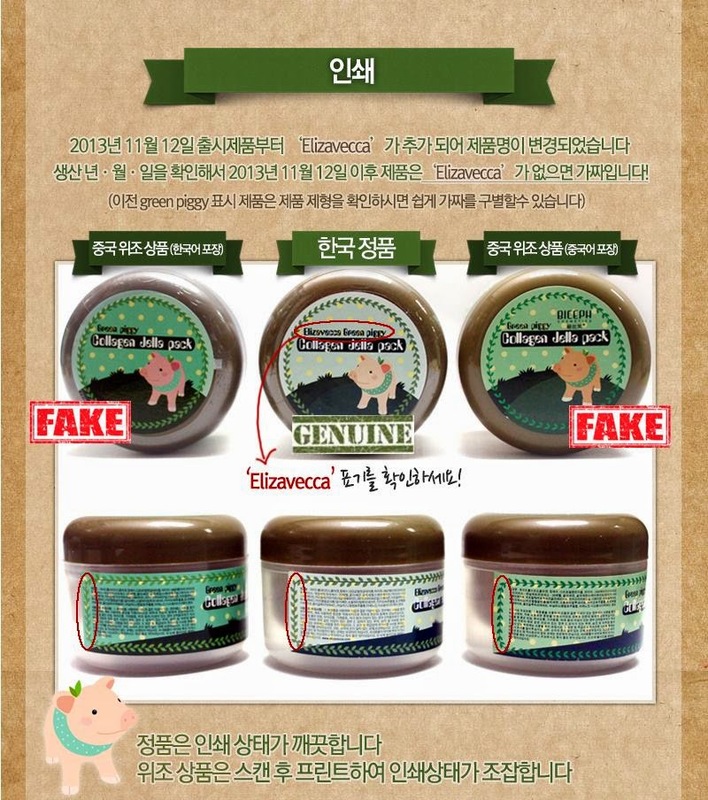 So back to my review on Elizavecca Green Piggy Collagen Jelly Pack, when I first put on a layer of the mask, I actually forgot that the ingredient of the mask is actually extracted from pig skin because it smells so nice... so fruity! And texture is very unique because you felt as if it melt on your skin. The first time I tried it, I leave it for 20 mins and I do feel a little bit of stickiness on the skin but doesn't really bother me so I went to wash it off. 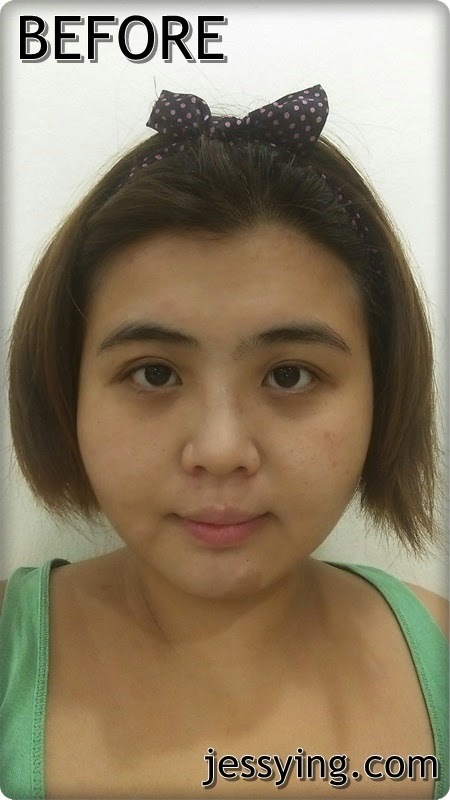 The immediate result is that I can feel my skin feel moister, softer and pores appears to look smaller. Was glad that overall the skin appear to look a bit brighter (like in the picture above). Occasionally I leave the mask overnight as sleeping mask and the result is slightly a bit better than washing it off. Next mask I would put to try is another collagen cream mask which is the No.1 Best seller in Thailand, Hong Kong and Singapore! 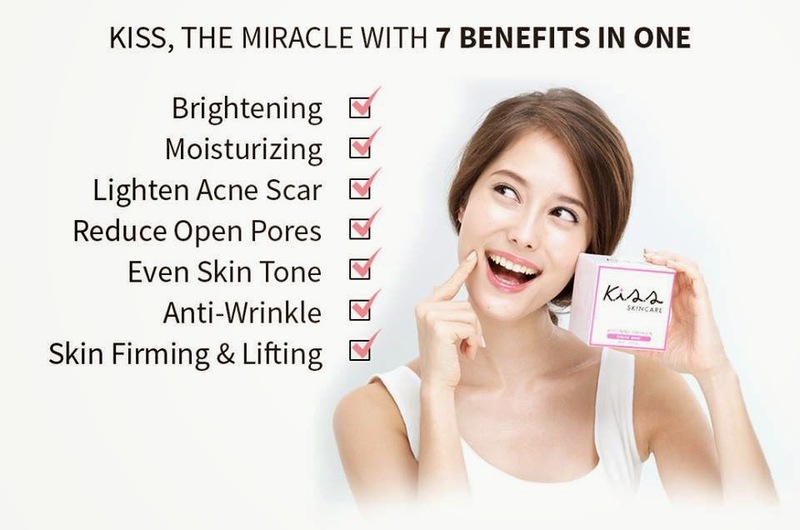 K.I.S.S Whitening Collagen Cream Mask (sleeping mask) is a product of Thailand and it is co-founded and recommended by Dr Atom of Atom Clinic in Thailand, a famous celebrity doctor known for his celebrity and supermodel clients. K.I.S.S Whitening Collagen Cream Mask is formulated with collagen extract, alpha arbutin, vitamin C+ and natural extracts. K.I.S.S Whitening Collagen Cream Mask gives 7 benefits in one jar...it claims to restores radiance, clarity and suppleness to all skin types. It also diminishes the appearance of pores, supports natural nourishment, exfoliates and addresses impurities. It is also clinically proven safe and non-hazardous! 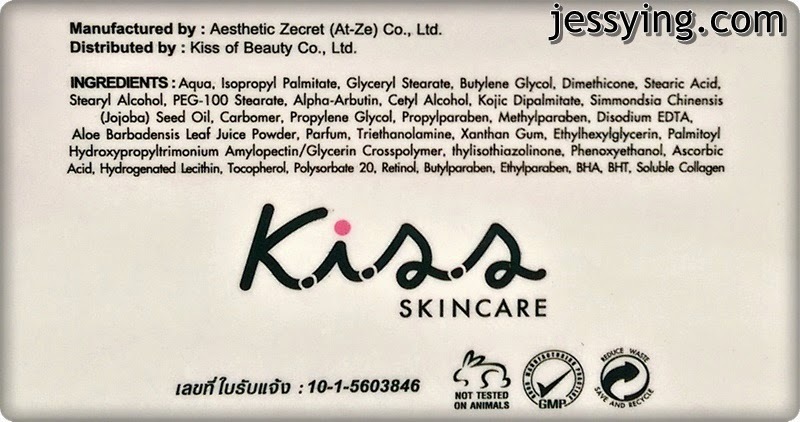 I am happy to find out that K.I.S.S is 100% all natural product with no trace of steriods nor mercury. Therefore suitable for all skin types including oily and sensitive skin! Nowadays I really like mask packaging which is really convenient and fuss free.. Just press and pump out the mask so hygienic! It would be great if all our skincare products come with design like this... and pump out the exact quantity we need to apply ! 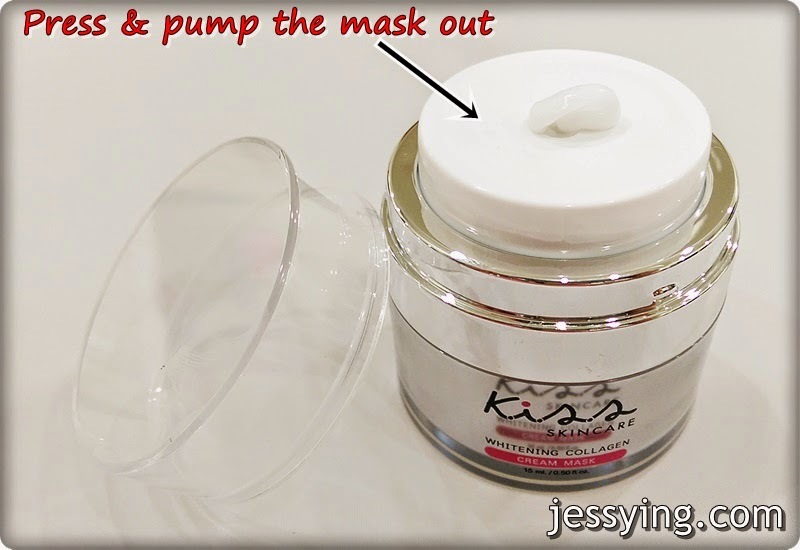 Texture of the K.I.S.S Whitening Collagen Cream Mask is really creamy and thick. The scent is very minty (somemore I can feel that it smell somehow like my toothpaste!).. very refreshing! 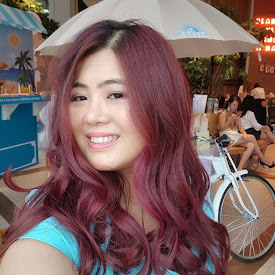 After I applied a thick layer of mask (about 2-3 pumps) and spread it out evenly on my face & neck immediately I felt a cooling minty sensation & tightening effect on my face.... such a nice feeling to beat the hot weather in Malaysia! My morning face without any makeup! Excuse my panda eyes , thanks to the World Cup matches! 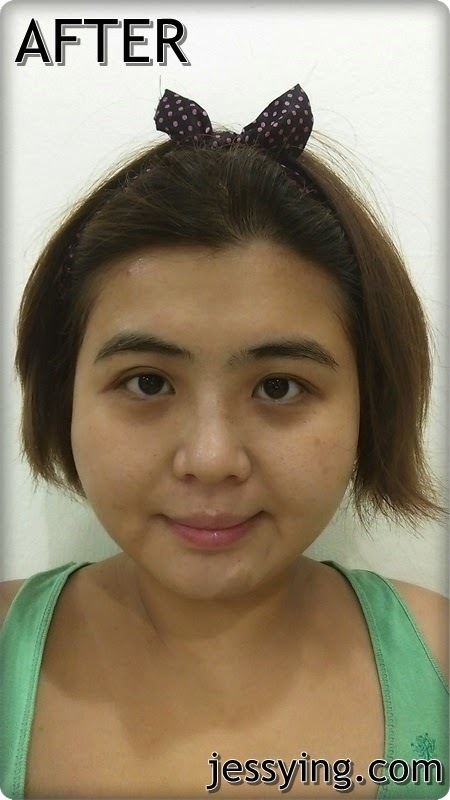 The next morning I washed off the mask and my skin feel so refresh! Overall the skin appears smoother, brighter and pores appear smaller too! This is definitely a nice sleeping mask with because the refreshing feeling that I had from the mask last me through the night! And if you are someone lazy to put on mask & wash it off after that well I recommend this K.I.S.S Whitening Collagen Cream Mask for you! And this is absolutely a really nice mask for hot weather like in Malaysia! I can't tell you which I prefer more because both seems to works well and smell nice too! You can get both masks from My Beauty Casa because they only sell authentic products (becareful too many fakes one out there!). And today if you quote my name JESSYING when making purchases, you get free delivery!